Ever wondered what’s happening behind the scenes for Downtown Frederick’s most recognizable faces? Take a peek behind the curtain with the Partnership’s “tell-all” blog series. 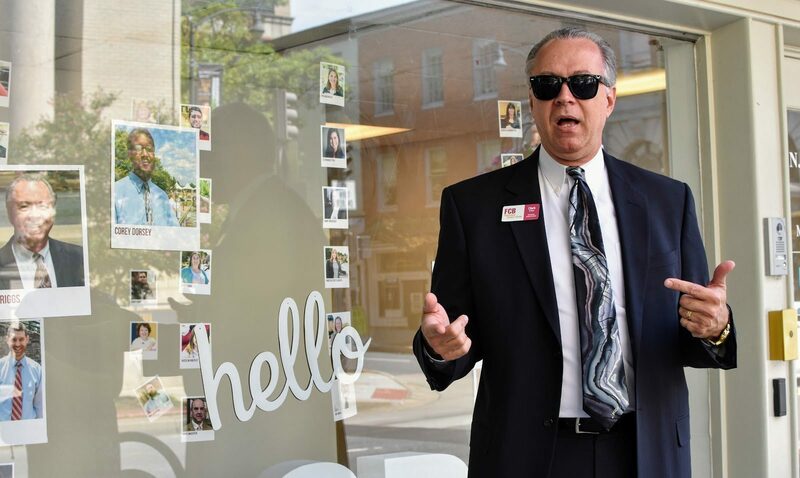 If you’ve spent more than five minutes in Downtown Frederick, you’ve likely seen (or met) Clark Briggs, Relationship Manager for Frederick County Bank. 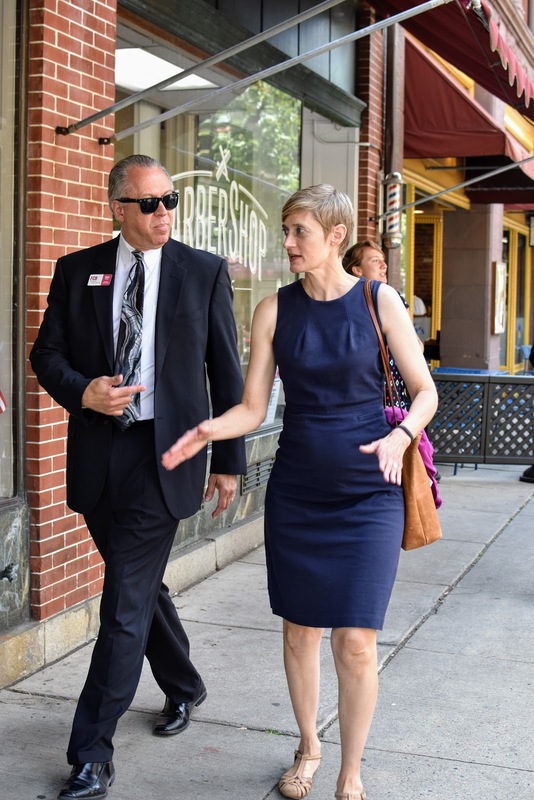 One of five local branches, FCB’s downtown offices are located at 2 N Market St.
We took five minutes to ask five questions, and have published his answers as they were originally provided. Take it away, Clark! What three things do you love most about working downtown? The thriving community and the fact that there is a very good mix of businesses. I spend time with family and friends… dining out, enjoying community theater, music venues, volunteering with community events and First Saturdays… just to name a few. 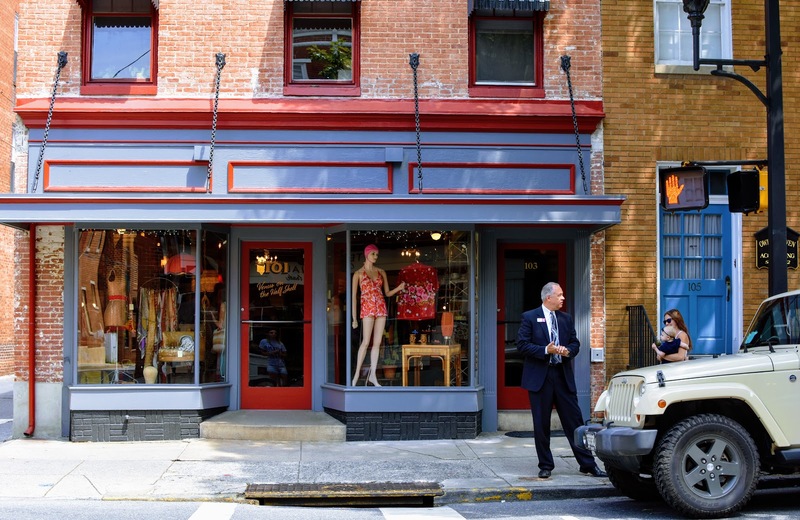 What is your favorite ‘insider’s tip’ to share with folks visiting Downtown Frederick for the first time? 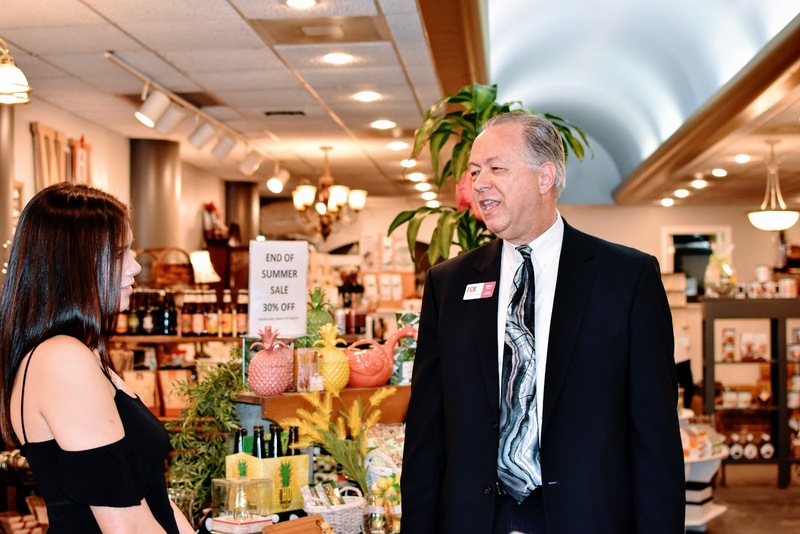 I love sharing Frederick’s rich history, along with our exceptional offerings of eateries, shopping and arts! 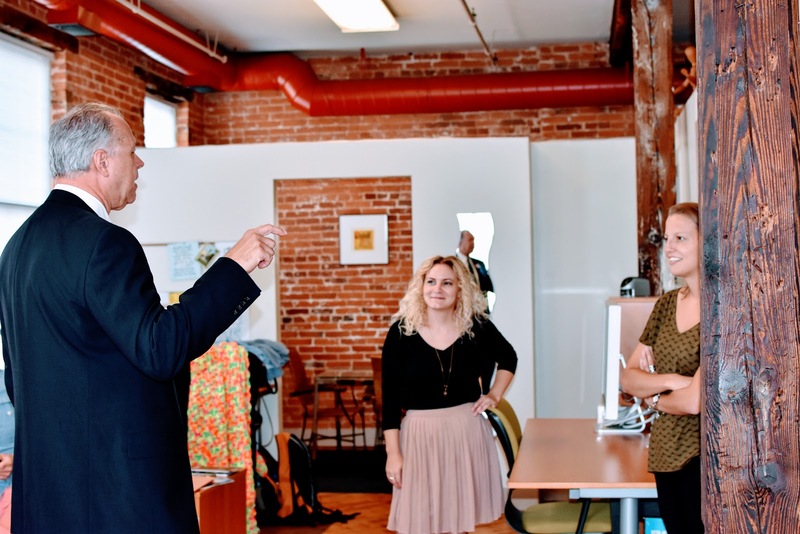 What one thing would you miss most if you didn’t work in Downtown Frederick? That’s simple… the folks that I have grown to know that live or work downtown! Now typically, our interview would end here. But for Clark? No way! When offered the chance to join him for one of his infamous ‘downtown walkabouts’ we could hardly refuse. 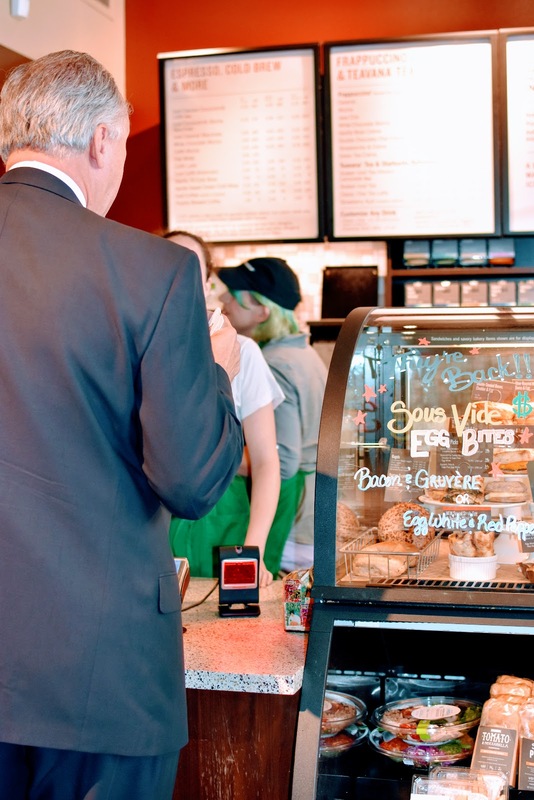 Like any good walkabout, we had to fuel up with a coffee run to Starbucks (104 N Market St). After popping his head in to the back room to say ‘hi’ he ordered his usual and we were on our way! 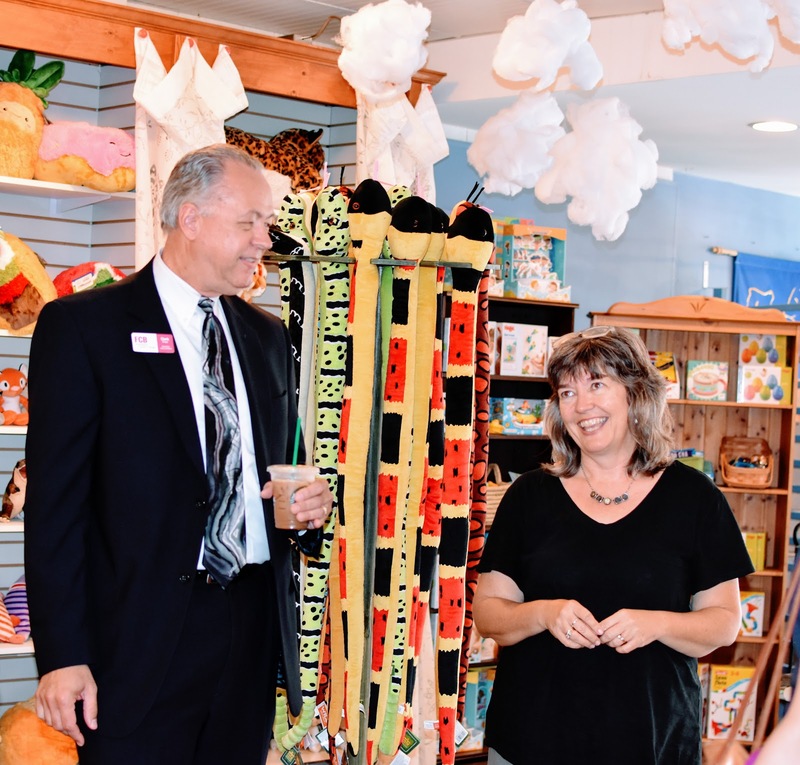 FIRST STOP: Dancing Bear Toys (15 E Patrick St), where we checked in on “Babies at the Bear” (the world’s cutest activity time) and stopped for a chat with owners Tom and Marlene England. 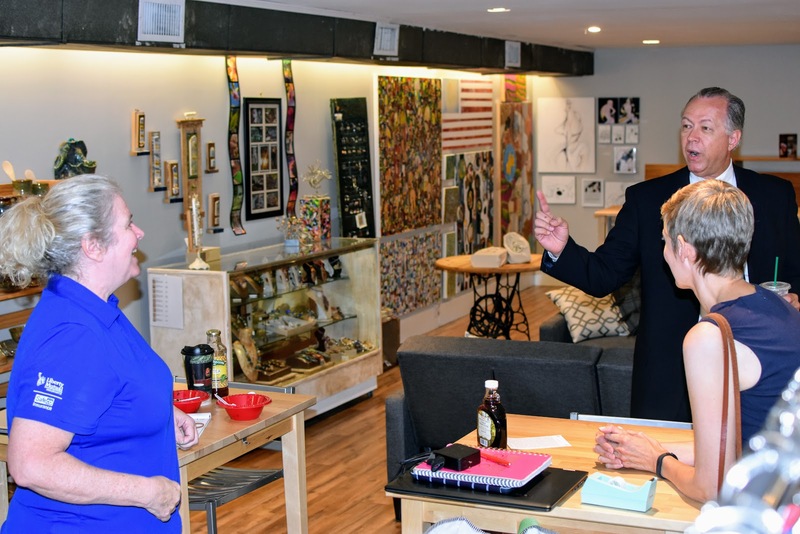 SECOND STOP: Serendipity Market & More (14 E Patrick St) to see how their community art gallery has grown and hear about the ‘Clark Sandwich’ that co-owner Diane Branson assures us will make its grand debut on the menu for their soon-to-open kitchen. THIRD STOP: Jean Peterson Design (6 N East St), where staff members Shelby Burns, Cecile Madonna, Dan Jae Smith and Kelsey McManimon gave Clark a run for his money on who could come up with the wittiest comeback. FOURTH STOP: The Frederick Basket Company (12 N East St) to give a personal ‘thank you’ to co-owner Kayley Pries for the personalized gift baskets she had created for Clark’s out-of-state buddies, featuring local craft beers and goodies. And just like that, Clark is off to make his next great connection. If you ever see him strutting around town, be sure you take the chance to say ‘hi’ …we promise it will be nothing short of entertaining! KEEP IN TOUCH WITH FREDERICK COUNTY BANK!